AMMONNEWS - Jordan aims to increase natural gas imports from Egypt to cover a third of its demand eventually, the Jordanian energy minister said on Tuesday. Jordan began importing natural gas from Egypt two months ago but increasing imports significantly would depend on construction of a pipeline between Jordan and Iraq which has yet to be built. Hala Zawati, Jordanian minister of energy and mineral resources, estimated Jordan’s gas demands in 2019 at around 350 million cubic feet per day. 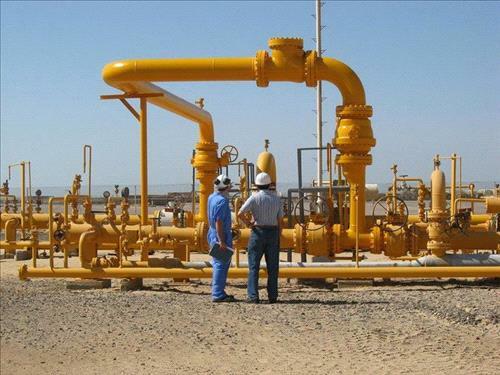 “Jordan started receiving natural gas from Egypt since September. It’s on (an) experimental basis for the pipeline but we hope in the beginning of 2019 to increase these amounts,” she said. “We have not yet agreed with Egypt. Now there are negotiations on how much will be pumped but we hope at least one third of the country’s requirements will be taken from Egypt,” she added, without giving a timeframe for reaching that goal.